Mount Bromo on Java island is possibly the most famous volcano in Indonesia. Having a height of 2329 m, it is the most hiked mountain in the country. 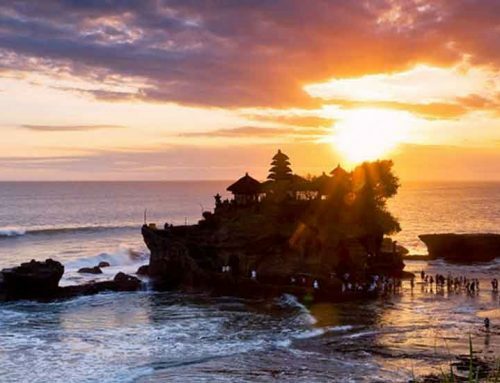 It always makes its way on the top 10 lists of things to do in Java, and for a good reason. Although many hikers come here, Mount Bromo still remains one of the most active volcanoes in the world and there are certain areas that restrict tourists from passing there because of its impending danger. It is located inside the massive Tengger caldera (volcanic crater with a diameter of roughly 10km), encircled by the Laut Pasir (sea of sand) of fine volcanic sand. 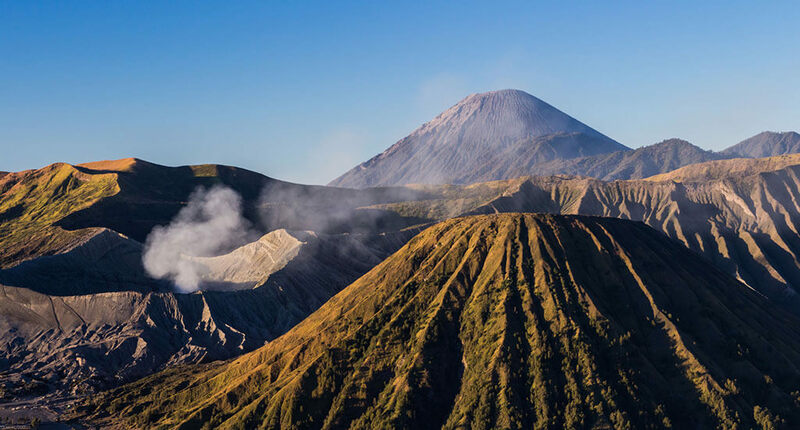 Local legends say that Mount Bromo is of great importance to the Tengger people who believe that the site is where their courageous prince sacrificed his life for his family. 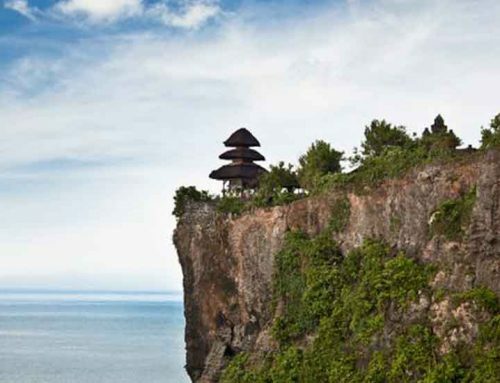 On the sand plain, a Hindu temple called Pura Luhur Poten can be found. The temple is very important to the Tenggerese people which are scattered across the mountain villages. The temple hosts the annual Yadnya Kasada ceremony that lasts up to a month. After 14 days, the crowd goes along the crater edges of Mt Bromo and throw their offerings into the crater. 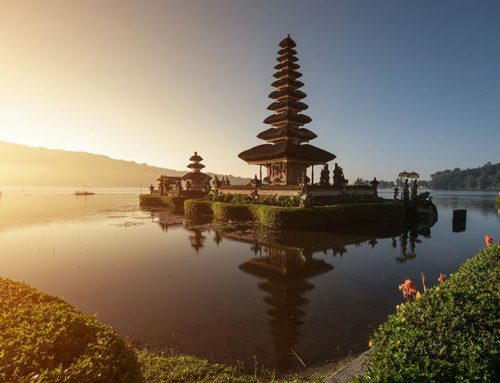 You can trek across 3 km sand of sea and then you will pass the Hindu temple and climb up a set of stairs to the caldera of Mount Bromo. It takes about 1-2 hours depending on your physical condition, but it’s usually considered an easy trek. But you can also hike the neighbouring Mount Penanjakan to catch the sunrise over Mount Bromo. Made out of desolated volcanic sand and a giant crater that spews white sulphurous smoke, this dangerous yet beautiful natural combination brings in many adventurous travellers that wish to see this otherworldly landscape. You find the best resorts to visit Mount Bromo in Surabaya or Banyuwangi. Mount Bromo is located in between.